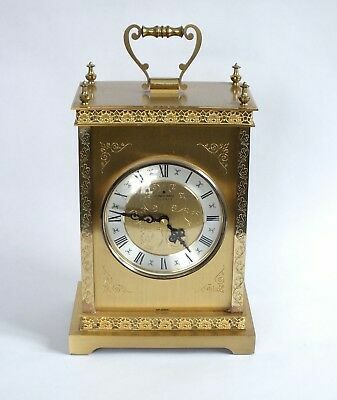 Seller: smithy96 (1,434) 100%, Location: Wetherby, Ships to: GB, Item: 264274443716 MINATURE CARRIAGE CLOCK ASTRAL HOLYROOD. WIND UP. 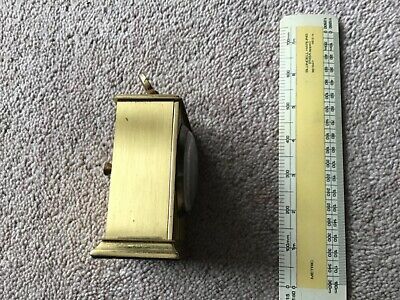 Think it is brass as it is heavy 340 gms Minor scratches from age use ,works well but needs time adjustment.Could do with a clean or polish but leave that to new owner. size ca 4ins (with carrying handle up ) x ca 2 1/2 ins x 1 1/4 ins. Popularity - 62 views, 4.4 views per day, 14 days on eBay. High amount of views. 1 sold, 0 available. 1 bid. 62 views, 4.4 views per day, 14 days on eBay. High amount of views. 1 sold, 0 available. 1 bid.